[Chatham, Ontario, Canada] – Benjamin Alexander will see the opening ceremonies of the Toronto 2015 Pan Am/Parapan Am Games from an interesting perspective. That’s because the 12-year-old Chatham resident will be part of the show. Alexander, who attends the National Ballet School of Canada, is among the 56 students from the professional ballet program selected to perform with Cirque du Soleil. This will be the biggest performance of Alexander’s young career, with the opening ceremonies expected to draw a television audience of 50 million viewers. “I feel like there’s a lot more pressure doing this, because there is a bigger audience,” he said. When asked what it has been like preparing to perform live for television, Alexander said: “It’s really cool . . . it’s a different experience, they really want you to always be smiling, because you never know when you’re on camera.” He noted they were told there will be 42 different television cameras in operation for the opening ceremonies. Performing live at the Rogers Centre will also be different experience, he said, because the audience will be all around the stage. There has been quite a time commitment required to be part of this event with rehearsals beginning in February, which run during the week and on weekends. Cherie Alexander is looking forward to seeing her son perform on such a grand stage. She said she tried to get tickets for the opening ceremony, but they were too expensive. Fortunately, she said, “they’re letting the parents go to the dress rehearsal. “So, I’ll get to see it the day before . . . that will be exciting,” she added. 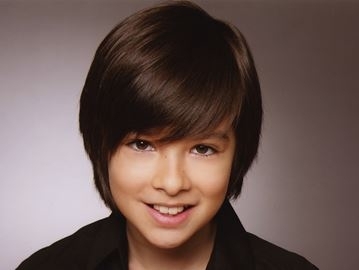 Cherie Alexander said Benjamin has been accepted for a third year at the national ballet school. She said he will be busy preparing for the opening ceremonies with rehearsals going from 9 a.m. to 10 p.m. on Wednesday and Thursday. She added he will also have show up at 9 a.m. on Friday for the opening ceremonies and expect to be there until 11 p.m. Afterward, she said Benjamin will take part in three weeks of “summer intensive” at the national ballet school. He’ll come home for August, before returning to the Toronto school for another year of study and ballet, she added. “It’s been a great experience for him,” she said. © 2015 Chatham Daily News. [Oakville, Ontario, Canada] – Oakville will be well represented in The Nutcracker at the Four Seasons Centre in Toronto this month. [Oakville native Cole Sweet] will perform in the holiday favourite. Sweet took up dance because his sisters’ studio offered free classes for boys. He was accepted to the prestigious ballet school just a couple of years later. In last year’s Nutcracker, Sweet danced the roles of a son in the family scene, as well as a courtier. “It is more nerve-racking this year because of my new role. But I am really happy about it,” said the 12-year-old. [Waterloo, Ontario, Canada] – Avery Grierson’s satin slippers sagged. She felt tired and a tad homesick. So the 10-year-old Waterloo girl snuggled into her bed in summer residence at the National Ballet School in Toronto, a few blocks from old Maple Leaf Gardens. An allegro afternoon of twirls and jumps and stretches had worn her out. Her brother Aidan, 13, quietly watched over her. Aidan bent down with aplomb and gently embraced the restless ballerina. He softly sang a lullaby to his little sister. “Rock-a-bye, baby, on the tree top,” Aidan warbled. “When the wind blows, the cradle will rock …” That was only weeks ago. Next Tuesday, Avery will make the Grand Jeté — the Big Leap — with her brother Aidan by her side. Both will be full-time students at the school, pirouetting for up to four hours a day while pounding the books the rest of an 11-hour schedule. Aidan, entering his second full-time year at the national college of choreography and croisée, is in Grade 7. Avery, a newcomer to full-time tour en l’air status, is in Grade 6. Their sibling pas de deux — not the norm, but not unheard of, school officials say — works out wonderfully as the national company aims to find and nourish the next Karen Kains and Frank Augustyns. Aidan just got his babysitting licence, he proudly proclaims. “You don’t have to babysit me!” Avery protested as the siblings sat side-by-side in the family’s dance studio, the Classical Dance Conservatory in Waterloo, on Tuesday. “I’ve got three counsellors with me on my floor!” Her mom Audra, a dancer who learned ballet in Montreal and went to the University of Waterloo, shakes her head. Last year, Aidan could only tease his sister parttime, during visits home. Now they are together, dancers since they were little, all week along. “He gets to tease her full-time now,” she said. Avery, who turns 11on Thursday, can handle it. She can happily return-pester Aidan like she plucks her violin. They’re a special pair. Every year, the school auditions 1,000 potential ballet prodigies in a 20-city tour. About 150 are invited to summer residence. From there, about 50 are selected for full-time study. Once in, you’ve got to be invited back. Aidan got his phone call to return back in May, around his birthday. Avery got her first fulltime invitation in July. No, it’s not cheap. The school will tell you it costs $90,000 to train a dancer for a year. With grants and donations, they whittle that down to about $32,000. Then, you can apply for financial help to get tuition lowered further. The Griersons have been through all the steps. Don’t ask what it costs exactly. They’d rather arabesque all day than say. But you get the idea. The kids’ stay-at-home father Todd, a former part-owner of Elmira Poultry, couldn’t say no to Avery after saying yes to Aidan. Besides, it’s a grand opportunity for two siblings who get their dancing genes from mom and their sense of balance from their one-time figure skater of a father. “If that kind of talent and skill is in the family, it’s not uncommon for siblings to share it,” said Joanna Gertler, a ballet school spokesperson. Gertler says there are two sisters from Toronto at the school. As well, she recalls three siblings from British Columbia once attending together in a recent year. Other students come from as far away as Taiwan and Texas. Aidan’s summer roommate Harrison — nicknamed Harry Potter for fun — came from England. The school goes as high as Grade 12. How long a student stays depends on their passion for ballet and their progression. But the barre is set very high. Avery doesn’t know if she wants to be a ballerina when she grows up. But she knows what she’d like as gifts when she shares a birthday with her mom on Thursday. “A puppy and a gecko,” she said. Dad shook his head. Despite what Aidan says, a gecko wouldn’t be welcome at the school. And the Griersons already have two dogs, Maggie and Brutus. But soon, within days, they’ll have two kids away during the week. Copyright 2014 Free Daily News Group Inc.
[Niagara Falls, Ontario, Canada] – Kieran Murphy couldn’t understand it – why was he being shamed by his friends for loving dance? It was physical. It was hard work. It was something they all watched on TV. And yet, he was mocked for deciding this was what he wanted to do with his life. A few years later his younger sister Lilah became interested in dance, and Kieran decided to give it another go. If his friends weren’t on board, so be it. “This fall, he just came into his own and realized, ‘I don’t care what other people say’,” says Amber. Watching shows like Dancing With the Stars, Kieran’s eyes lit up at how high they could jump. He had to try again. He started taking classes at Imagination Dance & Fitness in Niagara Falls last fall, then decided to take his shot at the big leagues: The National Ballet of Canada. He was among 1,000 kids who attended a recent open audition in Toronto, with the top 150 kids invited to a four-week training program this July. Kieran thought his sister, who also auditioned, would be the one invited. Instead, it was him. “I just wanted to go home, because I didn’t think I was going to get in,” he says. Now comes the hard, and expensive, part. The summer program will be an intense program meant to weed out the great prospects from the merely good. Of the 150 chosen, 50 will be invited to the full-time Professional Ballet Program in September. But affording the summer program is tougher than any pirouette. Giving her son a chance at his dream will cost Amber, a single mom with three kids, $4,000 tuition. To help soften the blow, she has started a page at GoFundMe.com. As of Monday [March 3], it had raised just over $1,000 of the costs. She wouldn’t go through this if she didn’t see a future in dance for him. “He’s always been one of those driven boys, with everything he’s ever taken on,” she says. [Toronto, Canada] – Precise plies, pirouettes and jetes, but it’s not all pointe shoes and tutus in ballet. 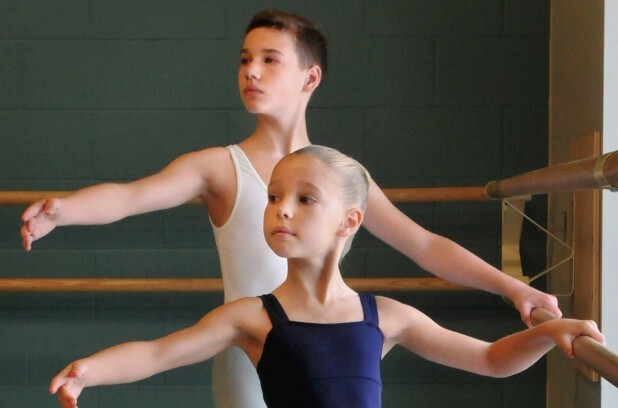 For the first time at National Ballet School of Canada, first-year boy students outnumber the girls. Teachers and practitioners have long tried to encourage boys to dance in what is often stereotyped as a girl’s activity. “I think all of us that have been here a long time have tried to encourage young boys to see ballet as an artistic option for them,” said teacher Laurel Toto. This year it seems some of that encouragement has worked to break down some of those preconceived notions about the very tough physical art form. More boys in class also means more balanced training for the girls. “When I started there were four boys, so it was a little disappointing, but I think its great, I think ballet is getting cooler,” said ballerina Olivia McAlpine. The popular stage show and movie Billy Elliot — about a boy ballet dancer — may have helped. Some boys say it’s still hard to tell other boys their age about their chosen art. But this school’s stature also helps. NSB has students from around the world. “Being surrounded by people who love to do what I do, it’s easier to talk and make friends and feel more comfortable dancing every day really helps,” said young dancer Leo Hepler. Charles Berry graduated from the school in 2001 and went on to become a professional dancer. But he remembers how it could be hard in the younger years, dancing as a boy. “Before I joined the National Ballet School, you got the usual ribbing as a kid, being a guy doing ballet,” Berry said. 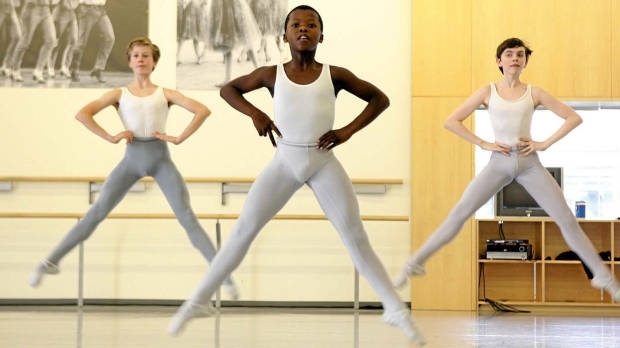 Fourteen year-old Siphe November is from Montague ,South Africa and is currently a student at Canada’s National Ballet School. [Saskatchewan, Canada] – A Regina youth, Finn Hepting, has been accepted into the National Ballet School in Toronto where he will begin classes next week. Hepting, who is 10 (but turns 11 on Saturday), was accepted into the prestigious program following a rigorous audition process during a summer camp. Hepting spent almost a month at National Ballet School, for the summer camp and audition. He said he was almost overwhelmed by the place.”Once I first walked in, I’m like ‘Whoa. This place is cool’,” he said. He said his daily routine, for school, will start at 8:30 a.m. and end at 5 p.m. with a combination of dancing and school work. He said the early morning dance regime will be a new experience, admitting he is not much of a morning person.